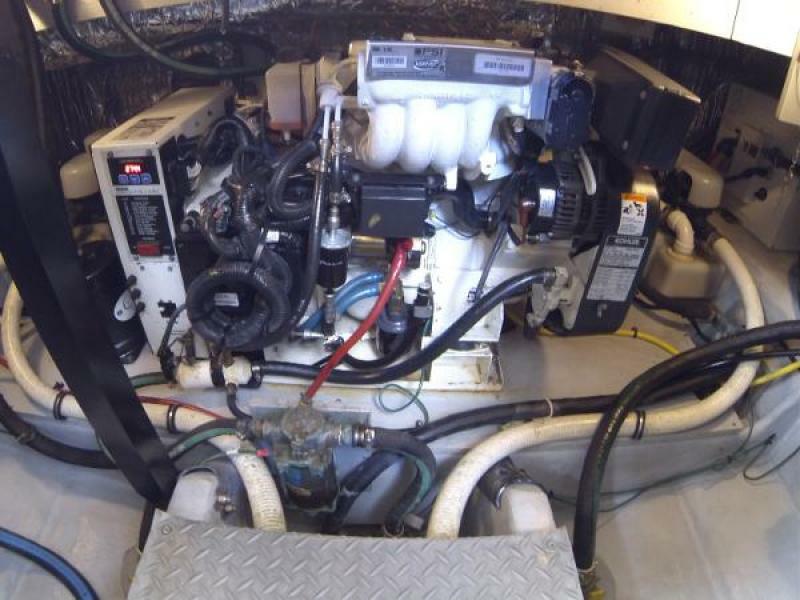 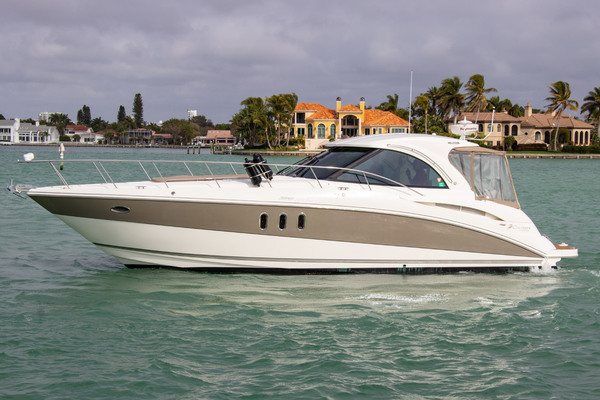 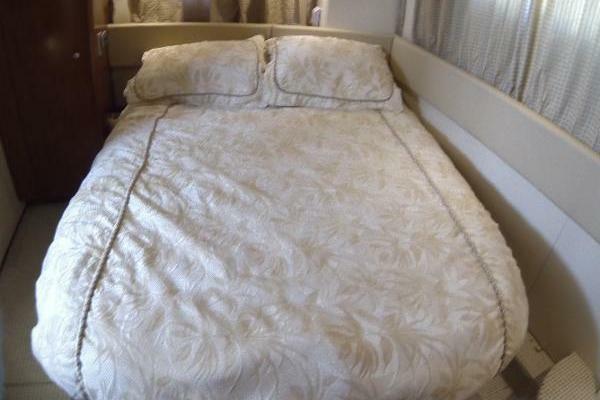 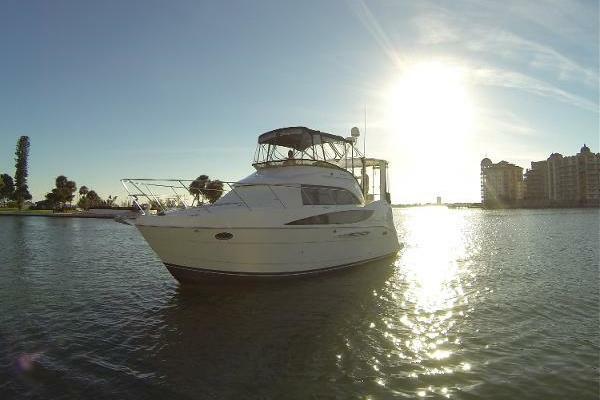 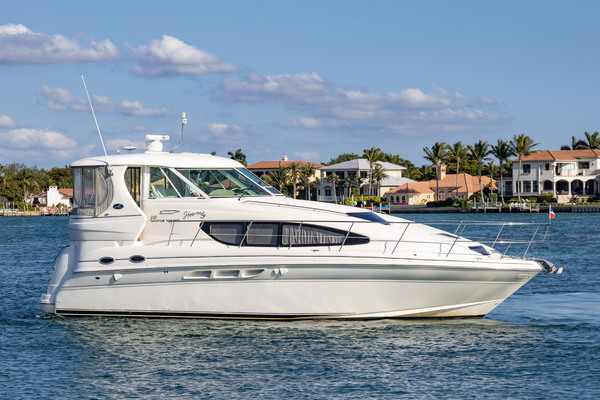 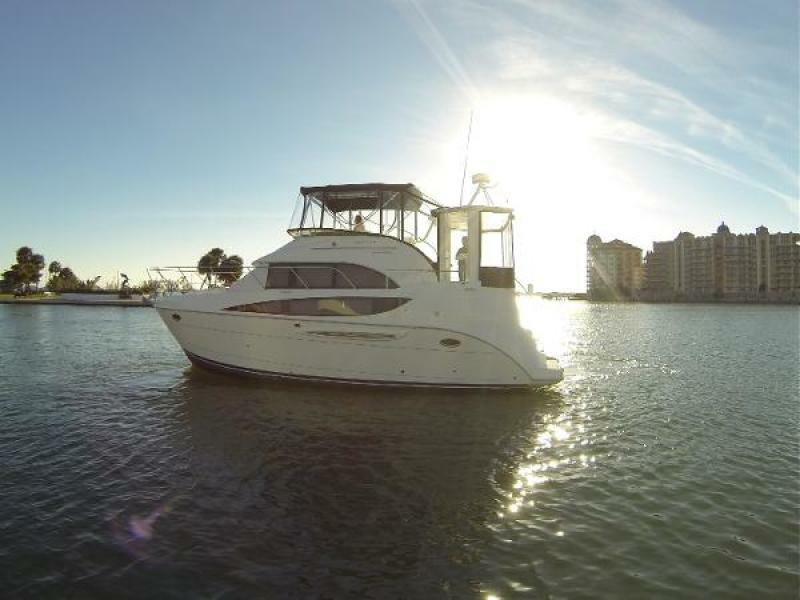 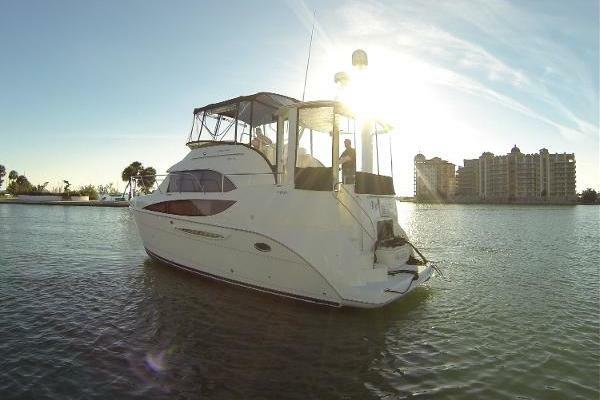 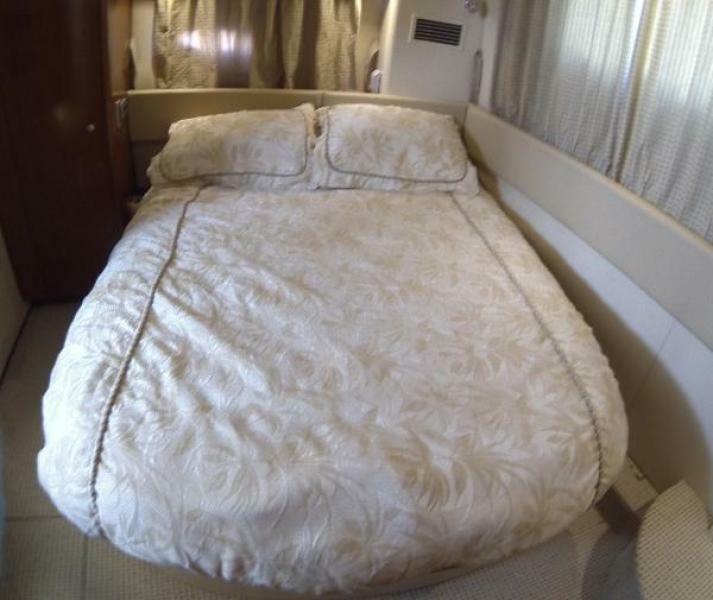 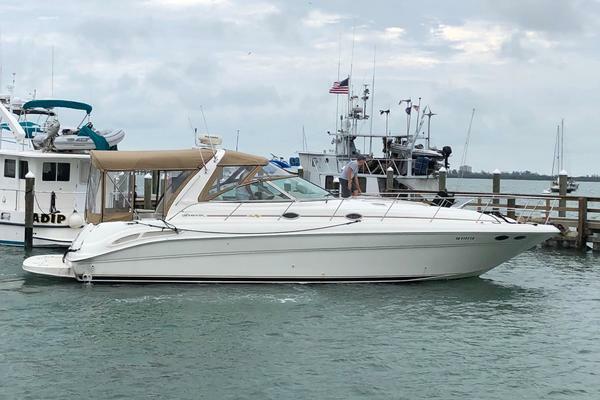 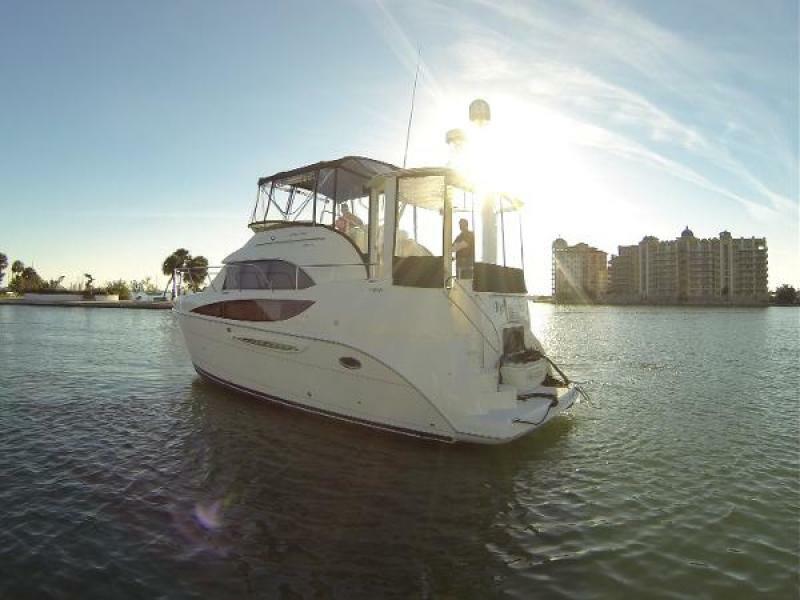 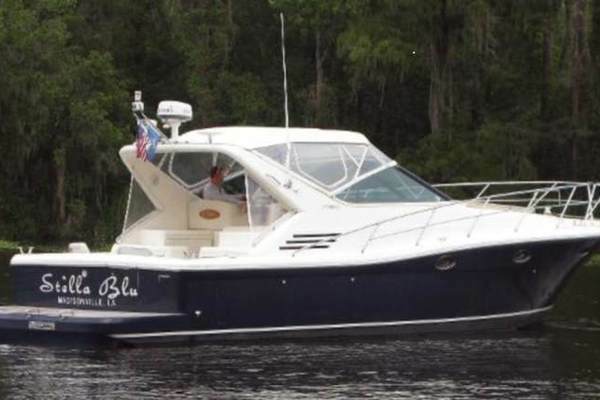 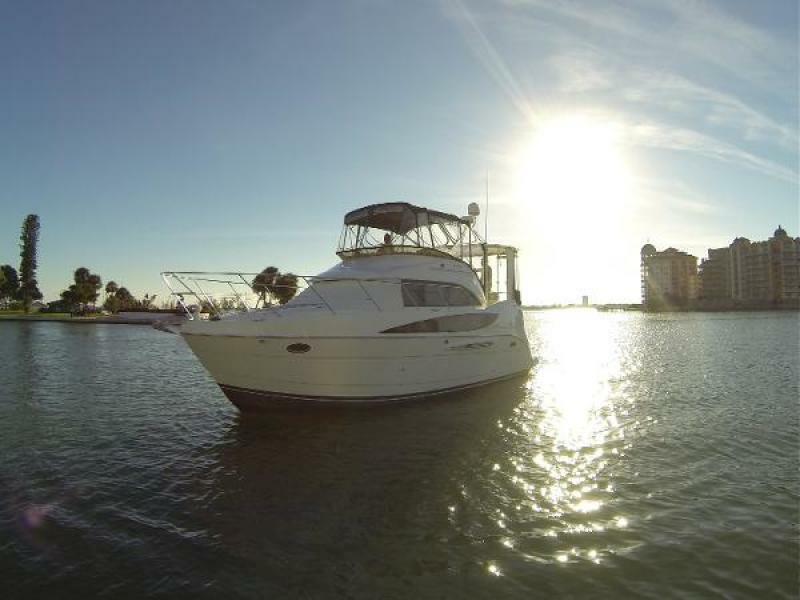 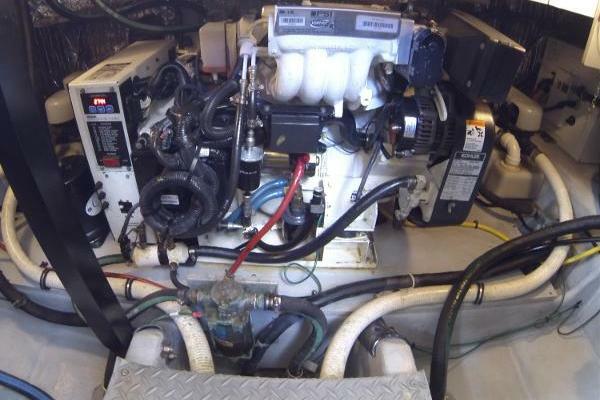 2005 36' Meridian 368 Motor Yacht. 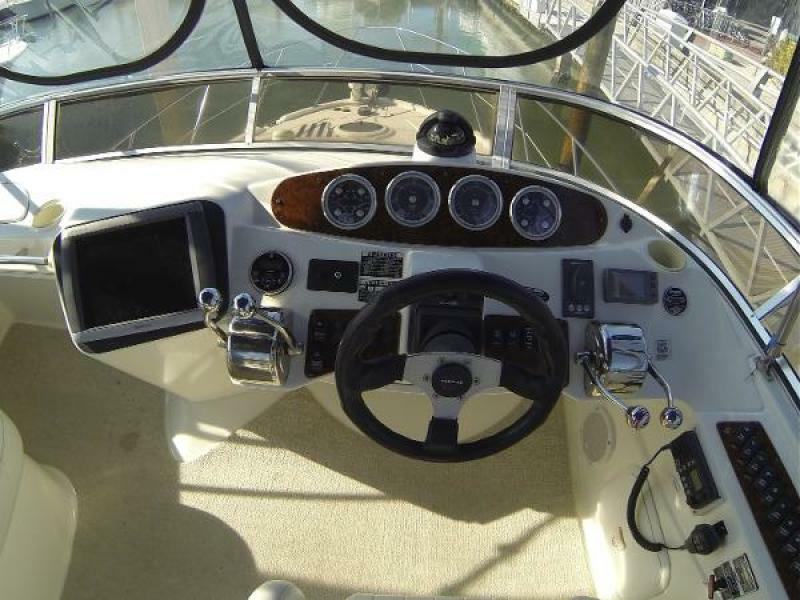 Reflections is outfitted with many options and ready for your coastal cruising adventure. 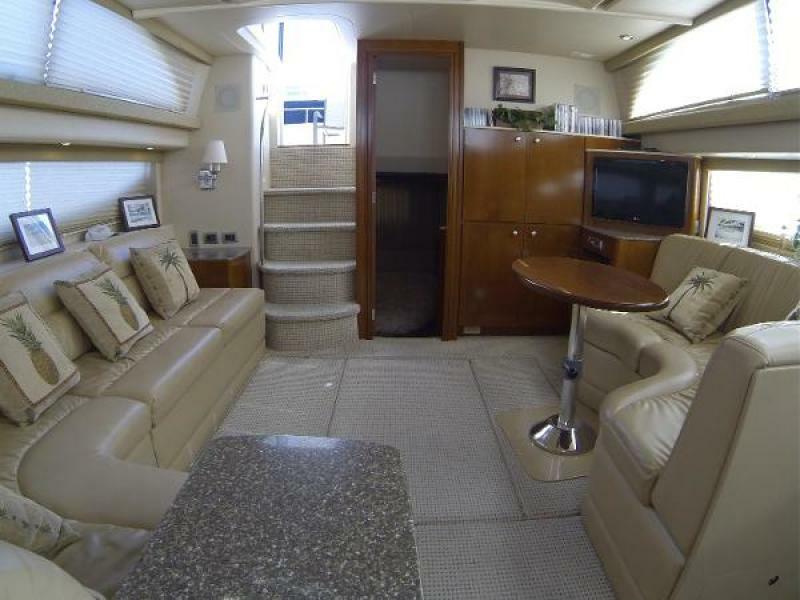 She was the model yacht for Meridian and her interior shows it with upgraded countertops, carpeting and designer soft goods. 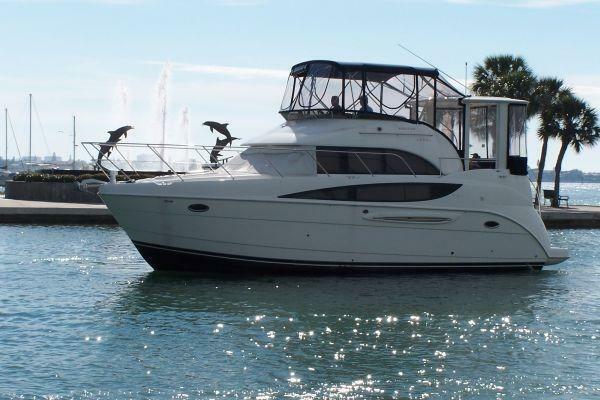 2005 36' Meridian 368 Motor Yacht. 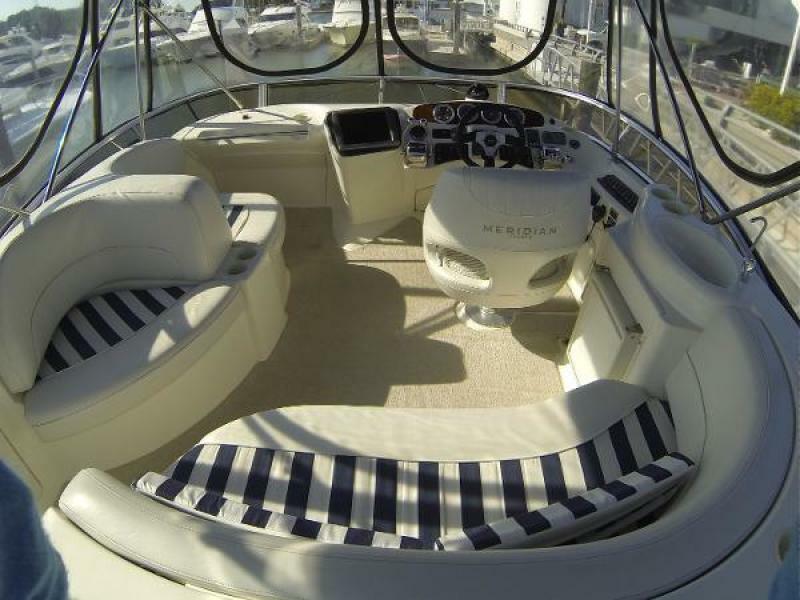 Reflections is outfitted with many options and ready for your coastal cruising adventure. 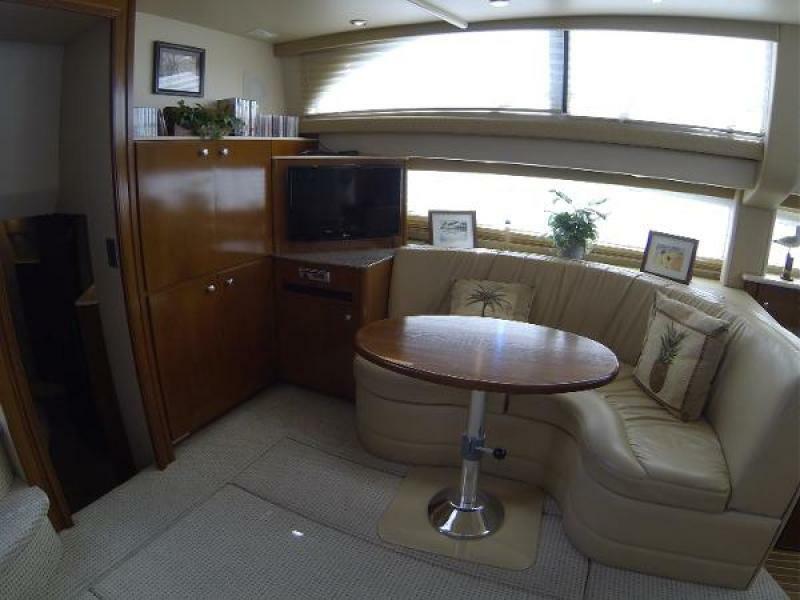 She was the model yacht for Meridian and her interior shows it with upgraded countertops, carpeting and designer soft goods. 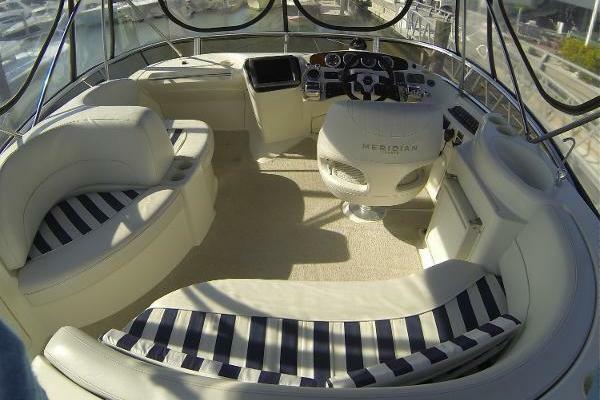 Also included are all of the goodies that make the Meridian 368 a BEST BUY including DOC Bow and Stern Thrusters and spacious accommodations. 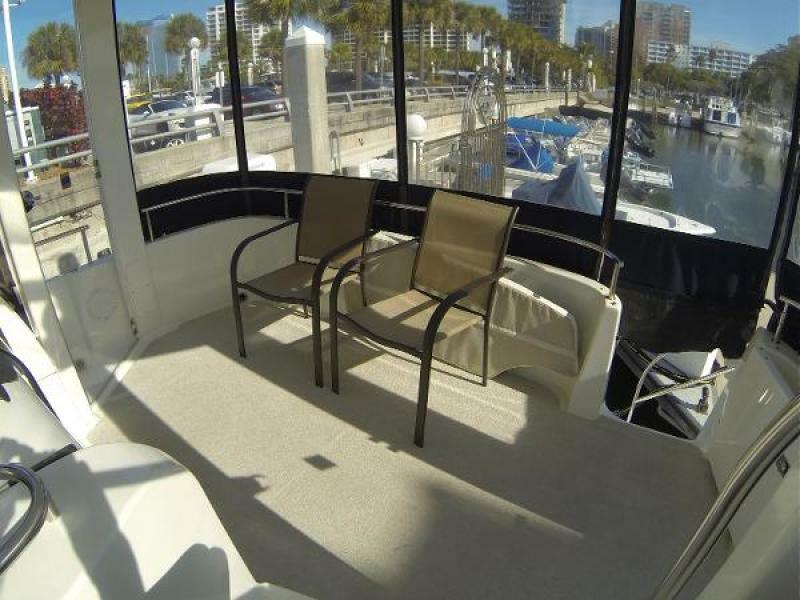 Entering down the aft deck staircase, and you will find a spacious, airy salon with a generous amount of windows to allow plenty of natural, ambient lighting into the vessel. 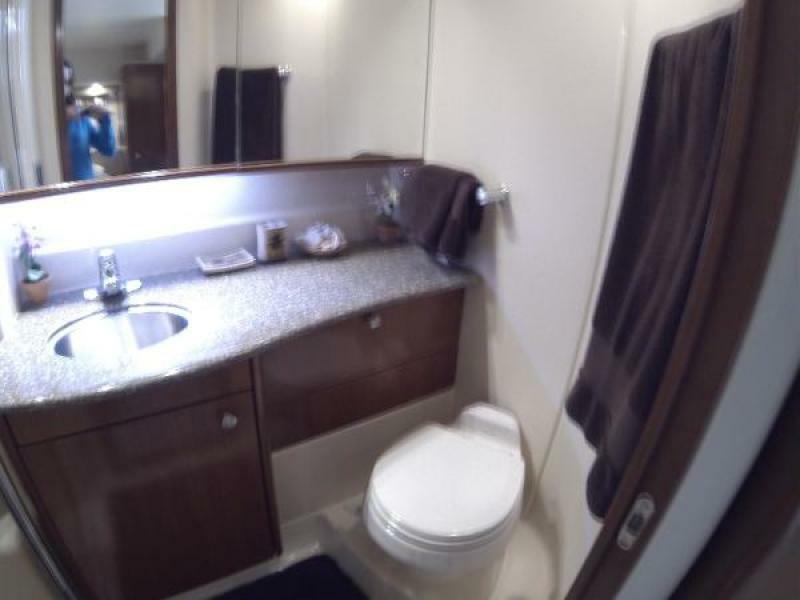 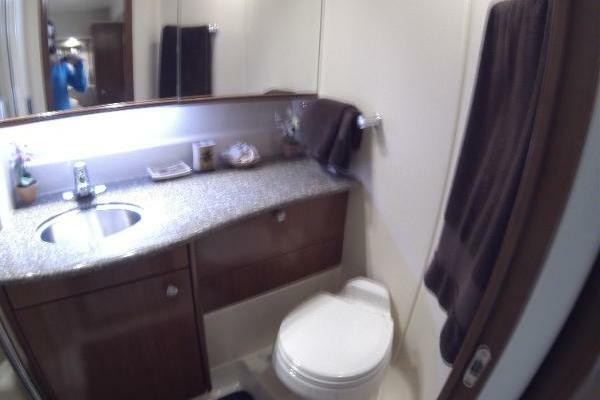 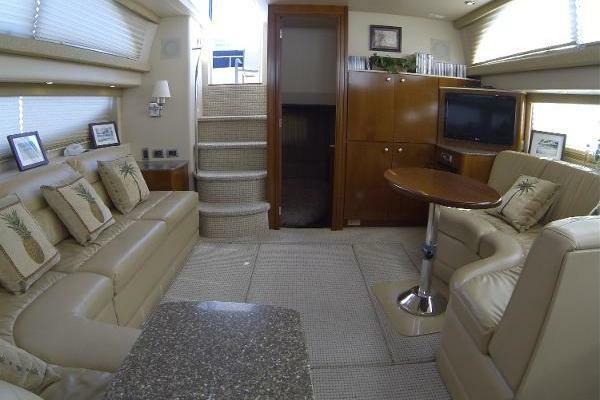 "Reflections" includes a rich cherrywood interior and upgraded carpets and countertops. 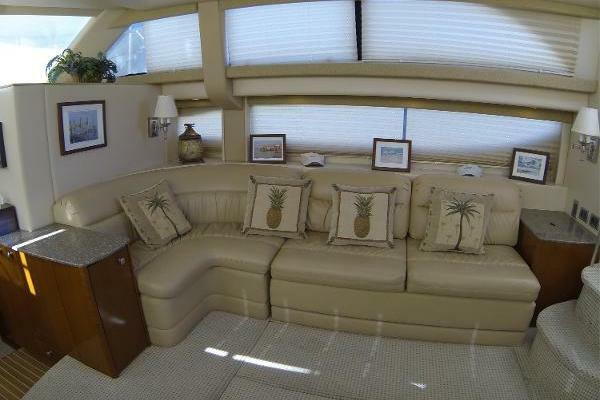 To starboard, the salon offers a full sized ultra leather sleeper sofa. 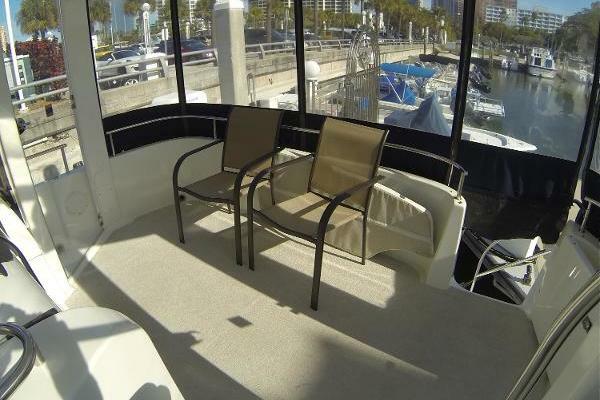 Moving portside, there is a dinette area featuring an oval shaped Hi-Low table. 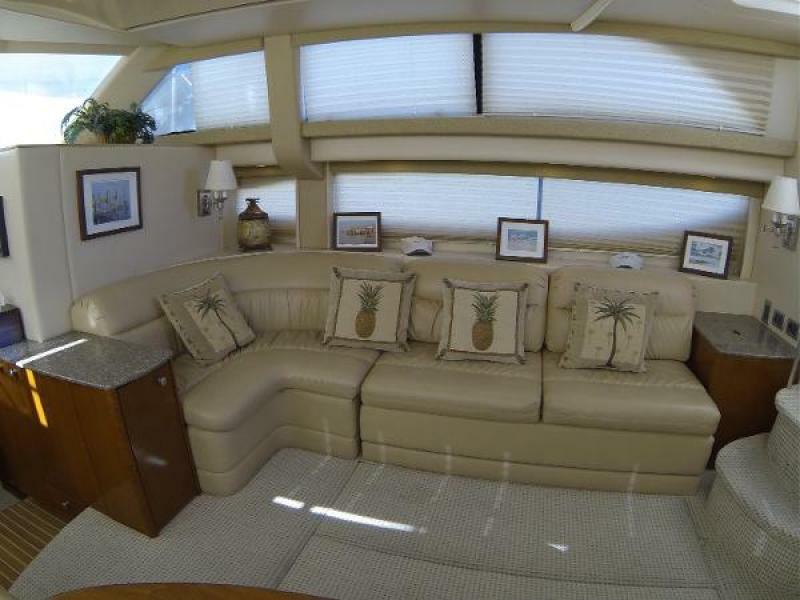 The salon also features an LG flat screen TV with a Sony Blue Ray player, which is visible from the sofa, dinette, and even the galley. 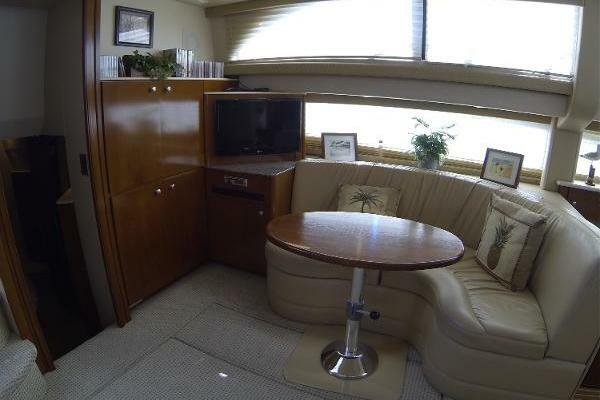 Below the TV, there is a Clarion Stereo system, all with generous amounts of storage throughout the vessel. 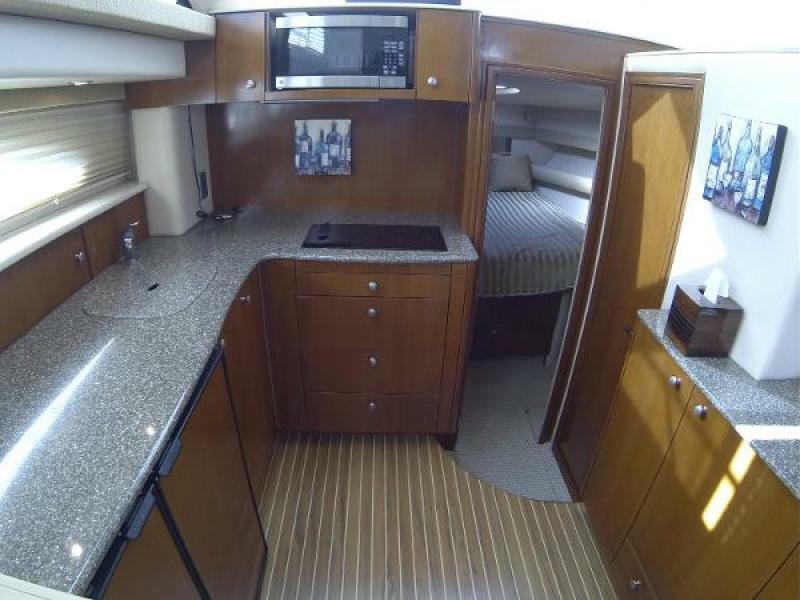 Moving forward, you will step down into the open galley featuring a two-burner Origo stove top, a Nova Kool refrigerator and freezer, and a GE microwave. 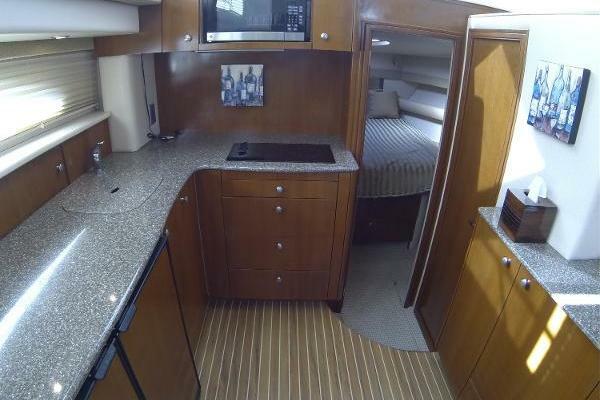 The galley includes a laminate teak & holly sole. 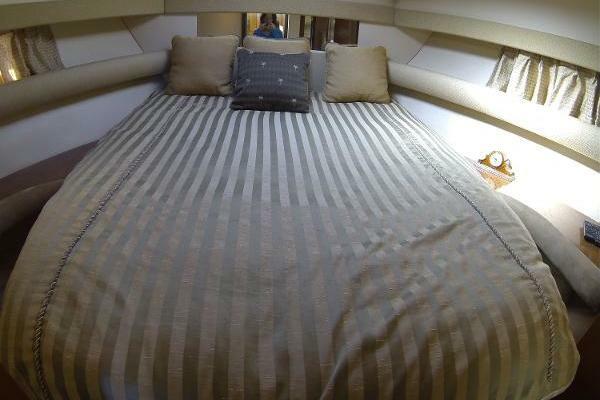 Moving further toward the bow is the VIP stateroom with a queen, island berth. 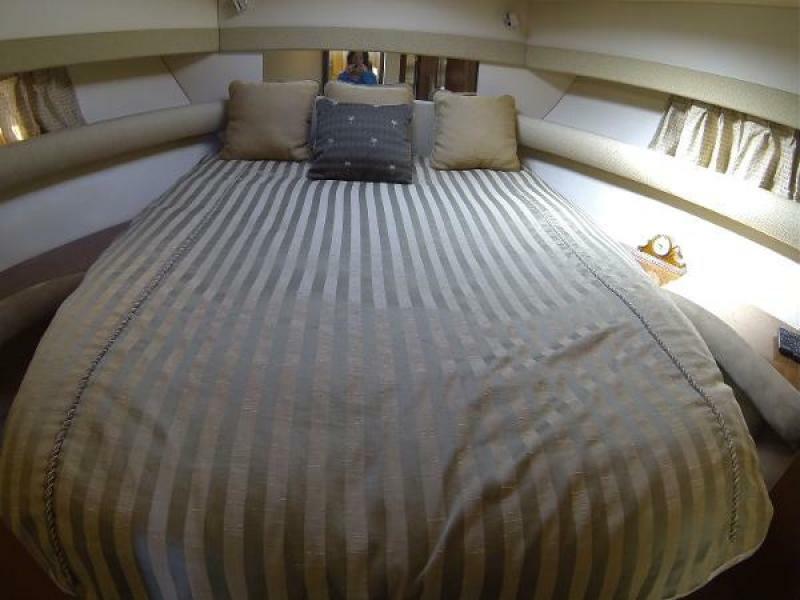 This stateroom includes a Toshiba flat screen TV and a HD DVD player. 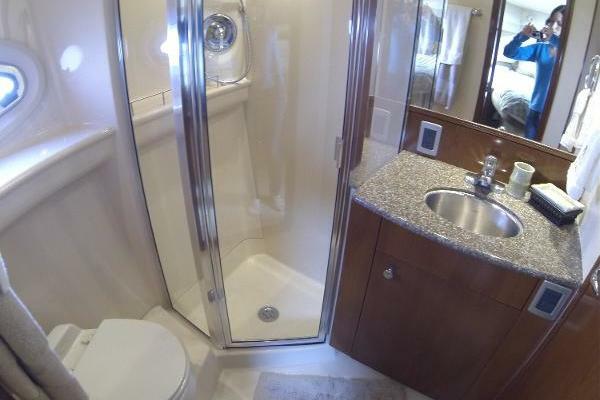 It also has its own private access to the VIP head, which features a spacious walk in shower, vacuflush system, and upgraded countertops. 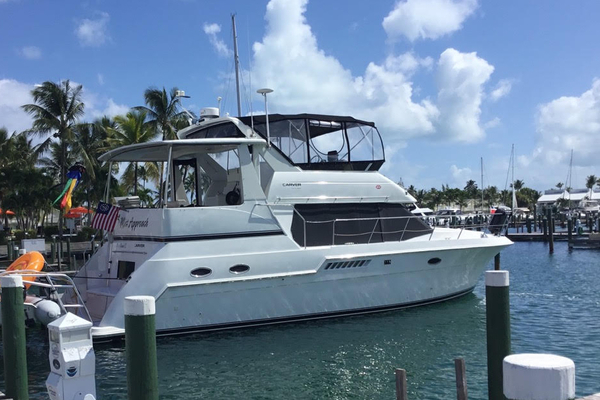 Heading back towards the aft deck, step down the stairs to enter the master stateroom, with an offset queen berth as well as a Samsung flat screen TV. 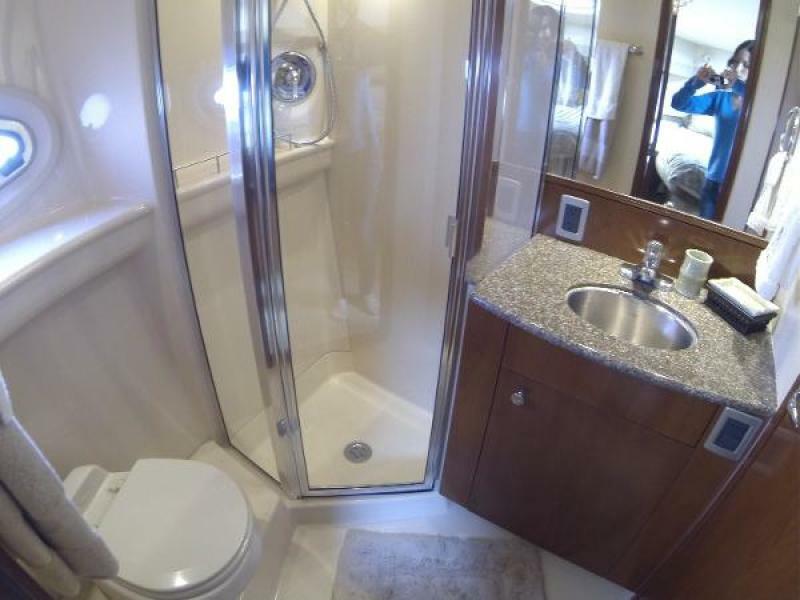 The master stateroom has it's own private master head, featuring a walk in shower, vacuflush system, and upgraded countertops. 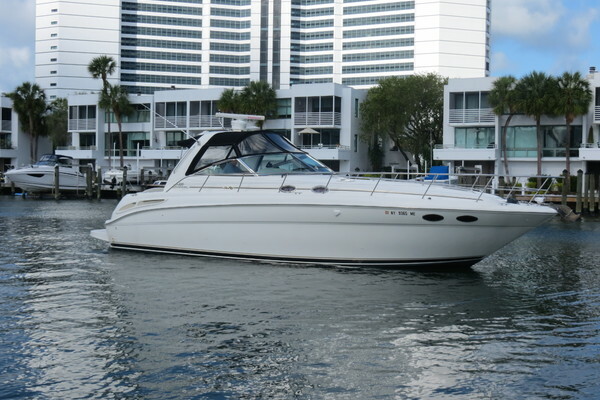 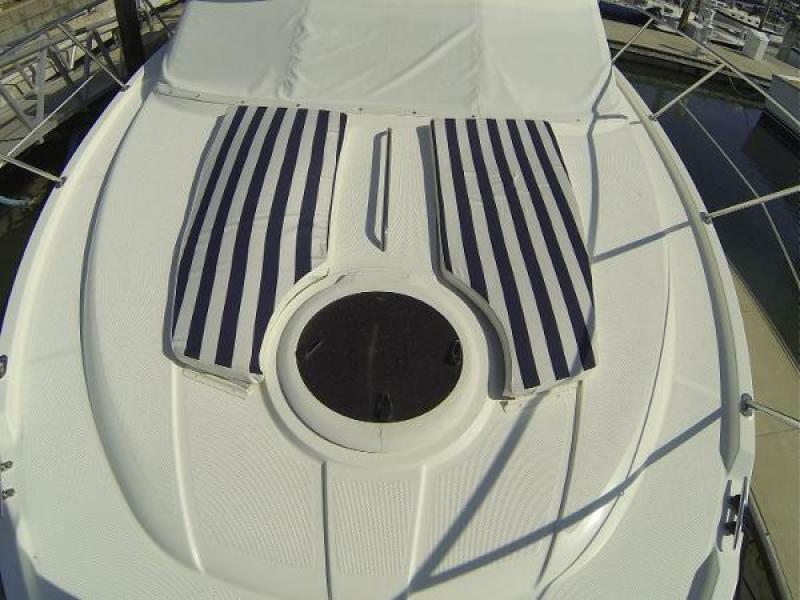 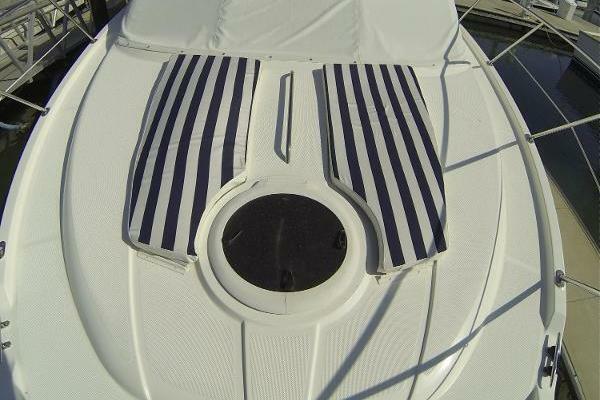 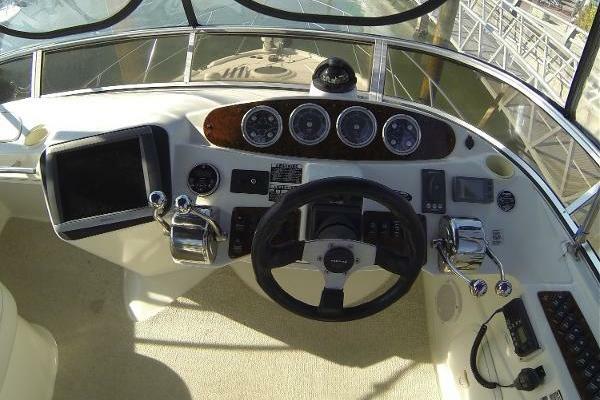 For more information about this yacht contact SYS Broker Steve Stevens, CPYB . 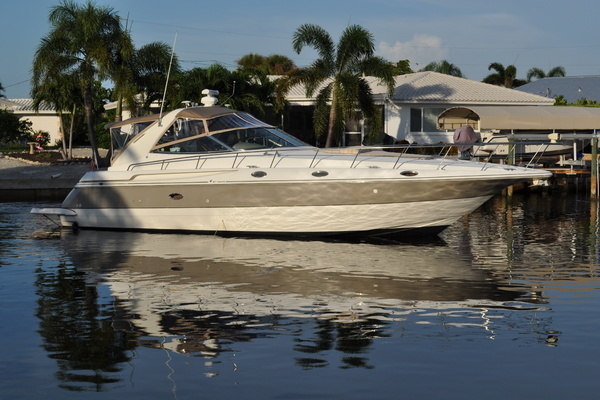 A licensed yacht salesman, Steve has had a long history in boating. 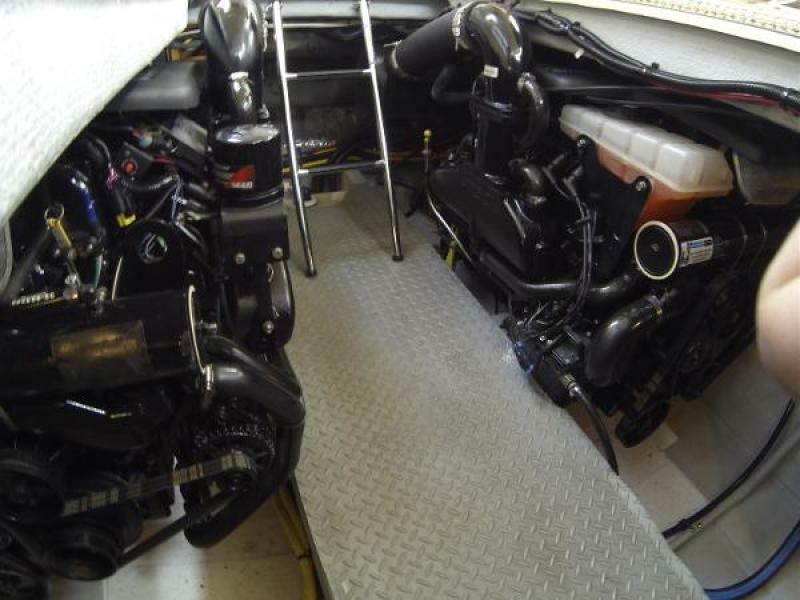 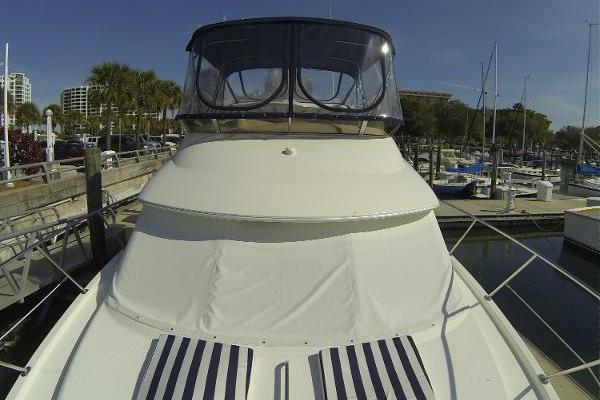 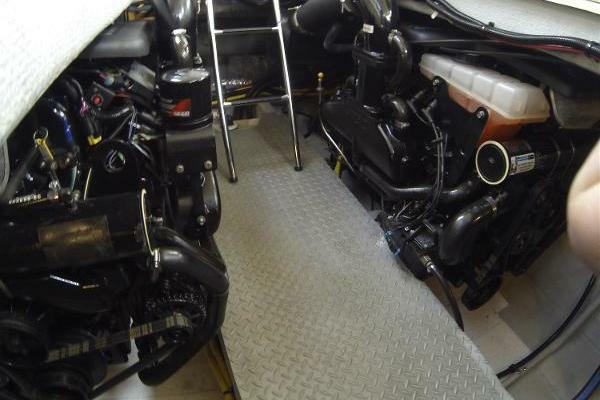 Steve began is career working with one of the largest Sea Ray and Boston Whaler dealers in the country. 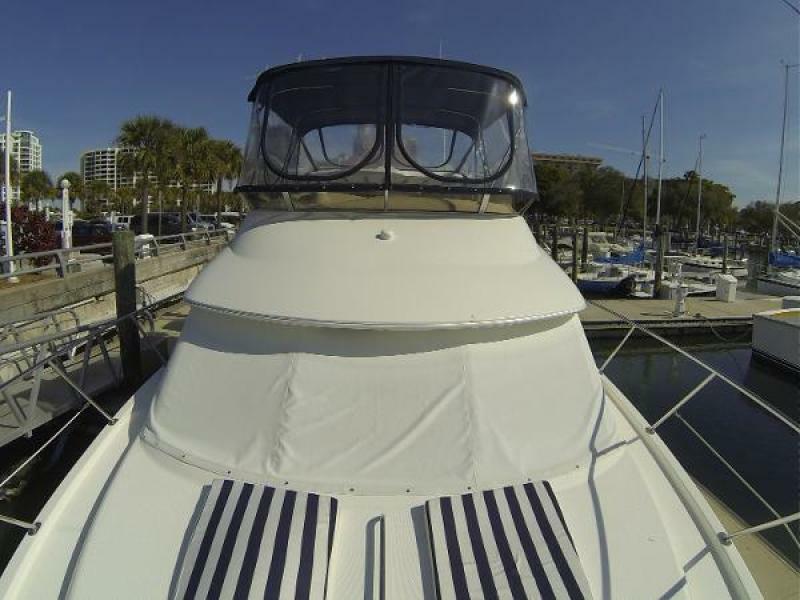 His long term desire to assist his customers with larger yachts brought him to SYS in Sarasota, FL. 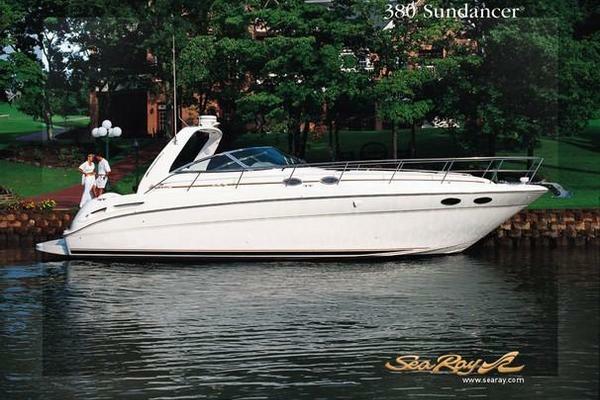 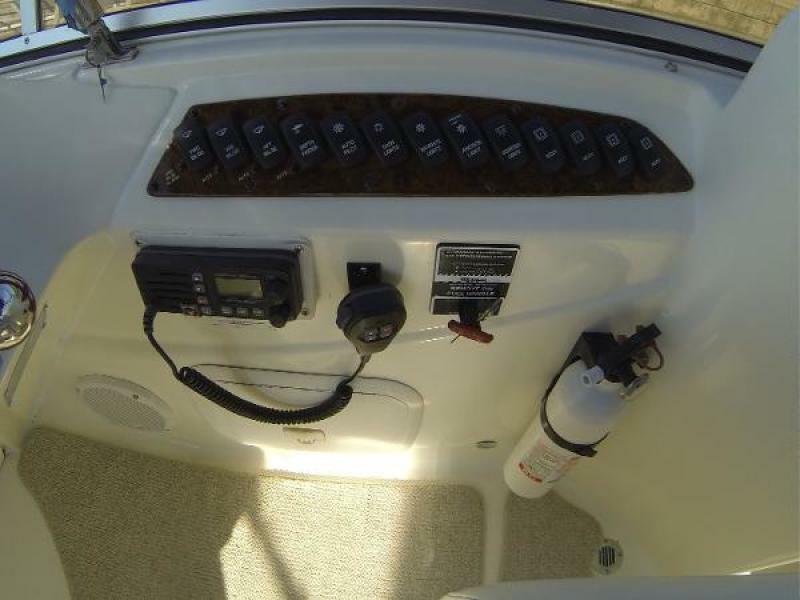 Having owned a number of boats himself, Steve is very familiar with all types of watercraft. 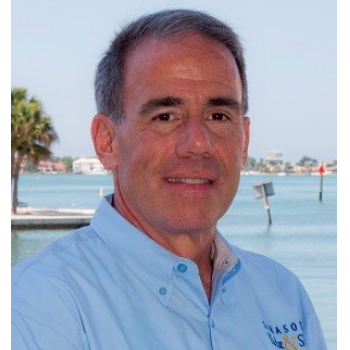 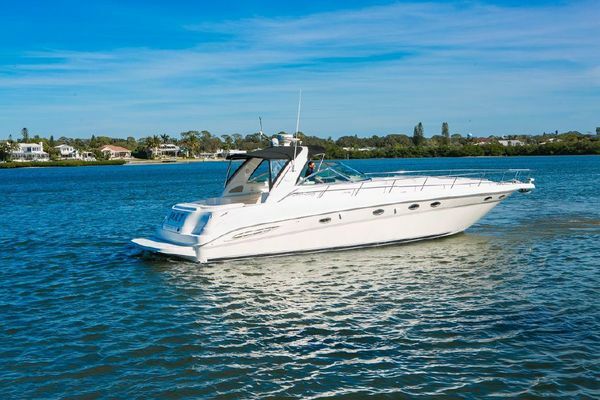 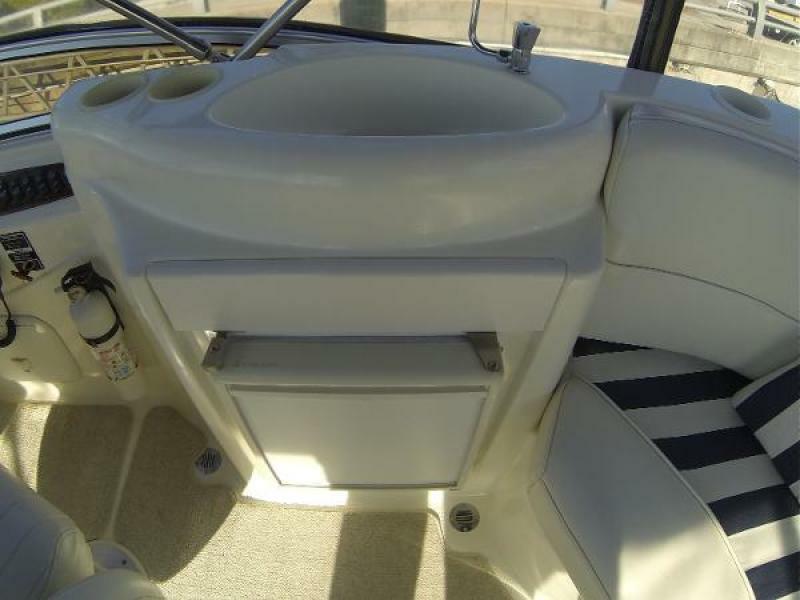 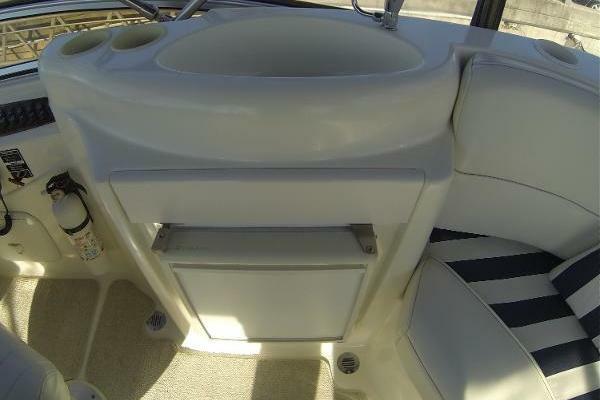 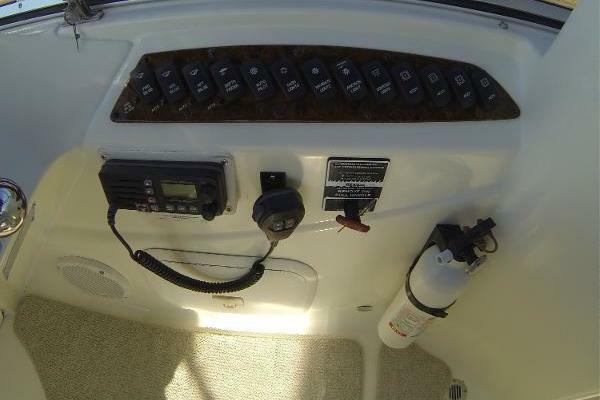 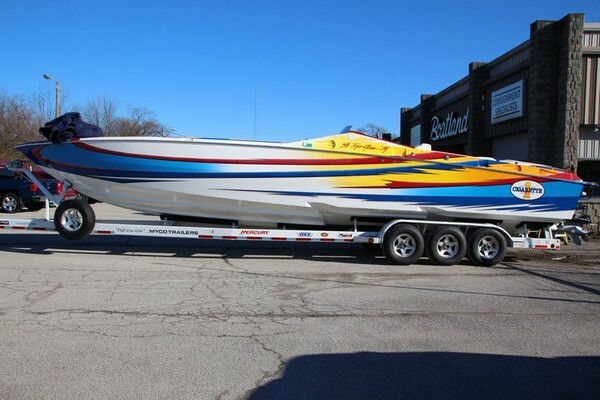 His passion for boating and providing exceptional service and attention to his customers is his main focus.